Comparing apples to kumquats. New loads tested finally. I finally got out and shot some test loads with my 5" STI Trojan with trigger job from Brazos and Match Dot on a slide rail. I used WST powder on all loads and RCBS 3 die carbide set on the Penn Bullets and taper crimped to .970. However, I used a Redding taper die to .970 on the SNS bullets as I just received it last night. I know the value NOW of a Ransom rest. This was tiring. IT SHOULD ALSO BE NOTED THAT I WEIGHED EACH PENN BULLET AND LOADED ONLY THOSE 203.5 +/- .1 gr BUT DID NOT WEIGH THE SNS AS THEY SEEMED ALL VERY CLOSE TO EACH OTHER IN WEIGHT. Sorry, these were the only targets I had at the house today. 10 shots, 4.0 gr WST, Penn bullets 200 LSWC MG, RCBS 3 die set with taper crimp die. 10 shots, 4.1 gr WST, Penn bullets 200 LSWC MG, RCBS 3 die set with taper crimp die. 10 shots, 4.2 gr WST, Penn bullets 200 LSWC MG, RCBS 3 die set with taper crimp die. 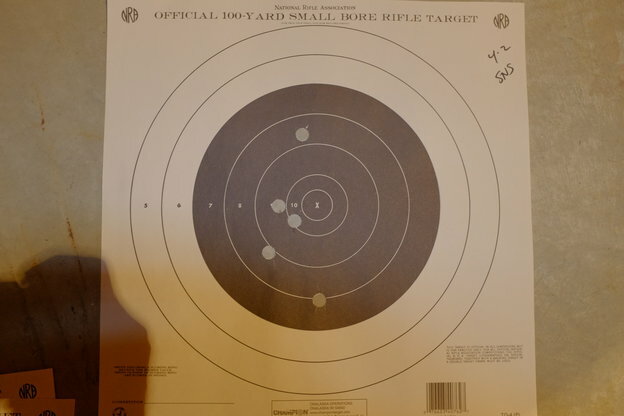 5 shots, 4.0 gr WST, SNS Casting coated bullets 200 LSWC, RCBS 3 die set with REDDING taper crimp die as final set. 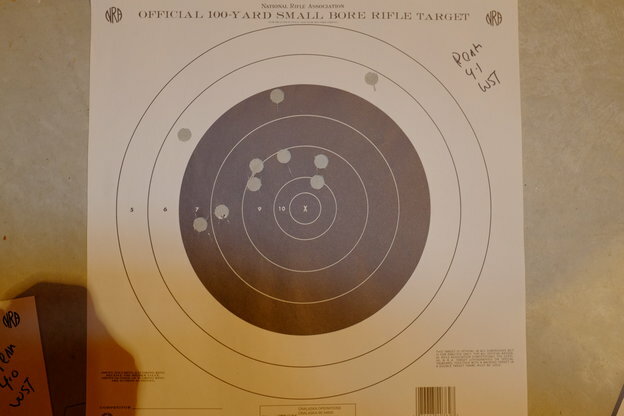 5 shots, 4.1 gr WST, SNS Casting coated bullets 200 LSWC, RCBS 3 die set with REDDING taper crimp die as final set. 5 shots, 4.2 gr WST, SNS Casting coated bullets 200 LSWC, RCBS 3 die set with REDDING taper crimp die as final set. 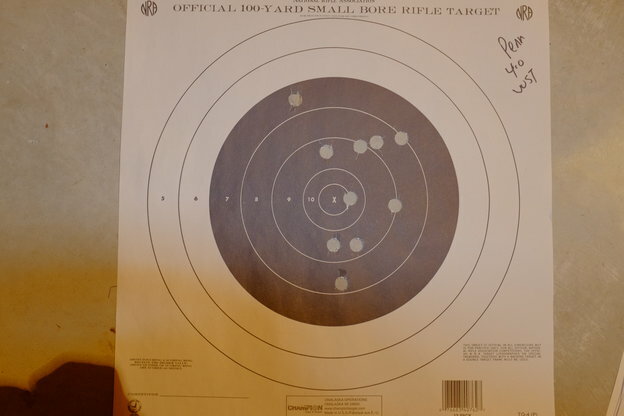 I also shot a 5 shot group each of 4.0, 4.1 and 4.2 with the Penn, but they largely reflected what the 10 shot strings did. With the Penn the 4.2 load seems tightest. I just got the Redding die last night so loaded the SNS with those loads specified and used that die. That's why I'm saying I'm comparing apples to kumquats- I did NOT crimp the Penn bullets the same, I used the RCBS 3rd die. Is it the bullet? The taper crimp die? Variance in shooting? I'm just not sure. I don't want to keep testing, I want to load some bullets and practice! 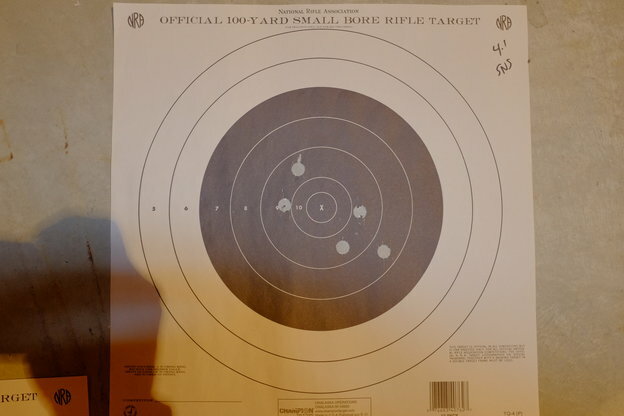 I can say the 4.0 is the easiest shooting load and at 50 yards that SNS, with the largest spread at 2.58" was the best test I had. 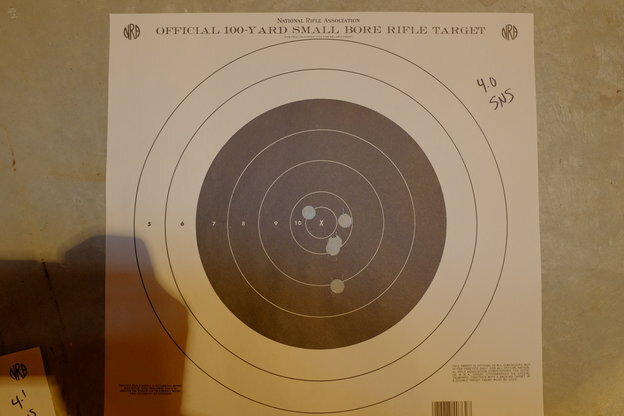 My quandary is that the 5 shots with the 4.0 WST and SNS bullet was a very small sample size. My gut tells to me shoot some strings with the SNS alone. They seem clean and with the WST it's a joy to shoot. Wish our club had a ransom rest, would provide more insight, but any insight into what I'm doing wrong is appreciated. Re: Comparing apples to kumquats. New loads tested finally. I'd sure load up some more of the 4.0 SNS to give it a real try..
jglenn21 wrote: I'd sure load up some more of the 4.0 SNS to give it a real try.. I think I'll do that for sure. I'm not sure if it's the bullet or crimp or both. But if the SNS seems to be the ticket I have 1,000 of them on hand and will use my supply of Penn bullets for practice. I re-checked, my Penn are target grade, not match grade. But in any event they vary wildly in weight from 199.5 or so to 206. Out of about 500 I weighed while watching TV, I got about 75 weighing 203.5. The rest seemed to be clustered around 202 and 204. I have no desire to sit and weigh bullets, that's for sure. IIRC, our favorite Hawaiian gun plumber mentioned a few years back that there could be up to a 3 grain variance and they would still go into the same 1 1/2" group at 50 yards. How's things going Ed? Miss you at Perry! Al wrote: IIRC, our favorite Hawaiian gun plumber mentioned a few years back that there could be up to a 3 grain variance and they would still go into the same 1 1/2" group at 50 yards. And, it's where the void is in the bullet. Toward the outside causes instability in flight. To the front or rear a much less effect. Save the heavies for best. That's why I like swaged bullets. That was a great read. Thank you. I can see where this stuff becomes addictive. james r chapman wrote: And, it's where the void is in the bullet. Toward the outside causes instability in flight. To the front or rear a much less effect. Save the heavies for best. That's why I like swaged bullets. I don't understand. Are you saying weight variations are from a void? Makes sense. Mine have some very minor surface variations and some of the bases are irregular. it could be, air pockets, debris, etc. 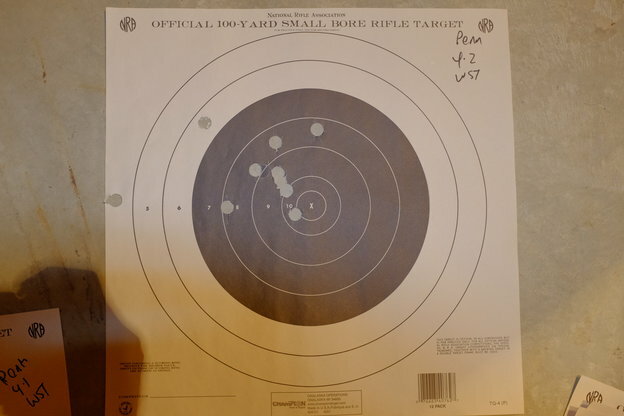 what crimp, .970 does not compute. if that was really .470 then id tighten it up some to .468-69 you will get a better burn of the powder. DavidR wrote: what crimp, .970 does not compute. if that was really .470 then id tighten it up some to .468-69 you will get a better burn of the powder. Oooops. .470. I was planning on 3.9 and 4.0 of WST in both .470 and .468 and see if there's a difference. Thank you.